Download the 1940 Template Files for FREE! 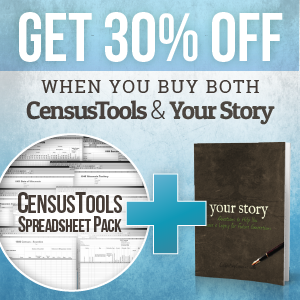 Buy all 40 spreadsheets for only $11.95! 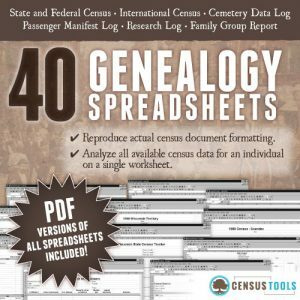 The CensusTools Spreadsheet Pack includes census spreadsheets for the US, Canada , England, Ireland, and Scotland as well as state spreadsheets for Iowa, Kansas, Massachusetts , Minnesota, New Jersey, New York, Rhode Island, and Wisconsin. Each location collection features the main spreadsheet as well as a tracker and checklist. Also included are a research log, a cemetery log, a ship manifest log, and a family group report. 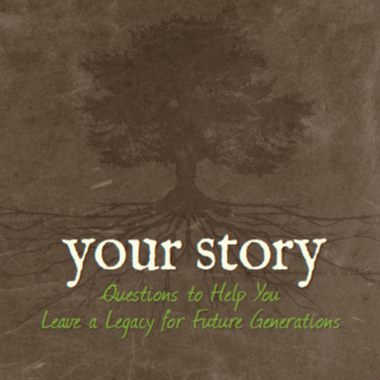 Buy Your Story: Questions to Help You Leave a Legacy for Future for only $11.95! 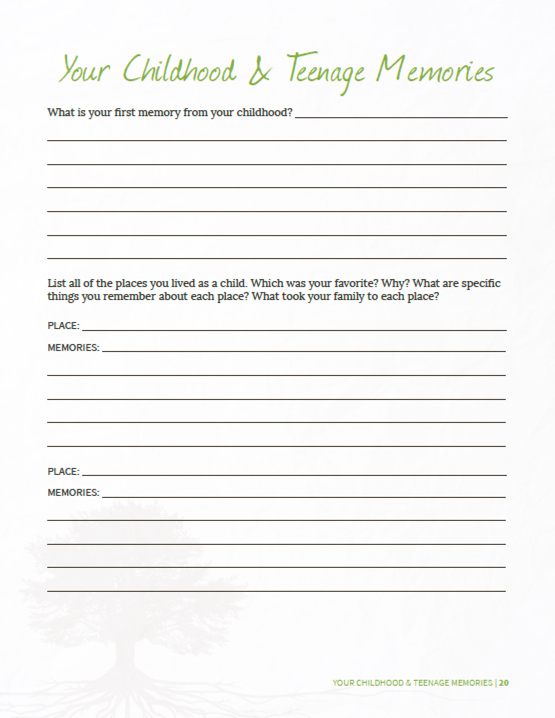 Your Story: Questions to Help You Leave a Legacy for Future Generations is a 54 page workbook with questions designed to prompt memories, record stories, and leave a legacy. The workbook is a great gift for parents and grandparents as well as a way to record your own personal story. The workbook is a digital file only and no physical book will be mailed. Please purchase a license for yourself and each person with whom you plan to share the file.